Florida is no stranger to sudden and damaging weather conditions. Aside from the well known hurricanes are the slew of smaller, but still dangerous tornadoes, lightning and hail, all of which can cause serious damage to property. In the event of a dispute over insurance benefits, and how damage was caused to property, how does a homeowner go about showing that, for example, winds were strong enough to damage a roof? Or that damage to property was caused by hail (generally, covered under homeowners’ insurance policies) and not caused by some other (non-covered) source? The answer is in an unlikely expert–the meteorologist. Expert meteorologists are being used more and more as experts in homeowners’ insurance dispute cases, and can provide vital testimony in trial. Imagine that the insurance company denies that a tornado actually went over someone’s home. Or, imagine that an insurance company disputed that the strength of winds in a storm was strong enough to cause a tree that eventually went through a homeowner’s roof, to uproot. Imagine that an insurance company says that a storm was not strong enough to damage a roof, and thus, the damage must have come from (uncovered) normal wear and tear or the age of a homeowner’s roof. Meteorologists can bring truth to these bare assertions, and testify as to the strength of various weather patterns, and their exact location. They also can read technical meteorological data that demonstrates the strength and location of a storm. They can testify that the weather conditions were ripe for strong winds, hail or snow to occur, sometimes pinpointing where the conditions occurred down to a single block or over a certain property. Because they are not experts in building codes or the strength of materials, meteorologists may not be able to testify that a certain weather pattern could “cause” specified damage, such as a roof to fly off. But the expert could certainly testify for example that winds in a particular storm were of a certain strength, and a separate expert can be used to testify that the strength of a storm was strong enough to cause the damage to the home. Meteorologist testimony has been accepted in courts, so long as the evidentiary standard is otherwise met, which is required of any kind of expert. If the meteorologist can show that he or she uses a scientific method that is generally accepted in the meteorological or scientific community, the testimony should be allowed. 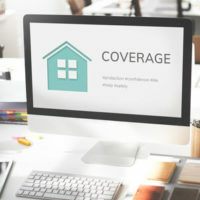 Make sure you have the experts you need in your homeowners’ insurance dispute case, and that your attorneys understand how to get expert testimony admitted. Contact the Celeste Law Firm in West Palm Beach today for a consultation if you are having trouble obtaining homeowners’ insurance benefits.